It’s become a recurring question. The sort that comes up during games of moderate to limited importance when you wonder what exactly it is that we are missing with Leroy Sane. What is the tell? What is the shortcoming of technique, application or comprehension that appears in some level of detail to the eye of Pep Guardiola but is lost on most others? There are telescopes that can spot and measure black holes but evidently very little that can adequately explain why this tricky, gifted winger is designated by his manager as a player for the secondary occasion. In the parlance of match tickets, he appears by most metrics to be a category A player yet is only spotted in category B games and down. Of course, no fixture is a throw-away at this stage in the dance. But Crystal Palace isn’t Tottenham away in the Champions League. It wasn’t Chelsea away in the Carabao Cup or home in the Premier League. It wasn’t Arsenal in February or Manchester United in November. It almost never is. Only once this season in a truly big game – Liverpool in January – has he done the full 90. The rest of the games against the top six? He started against Chelsea in December and got hauled off on 52 minutes, but before and after he has either started on the bench and made a cameo, or stayed on the bench for the duration. In the 18 games before this one, he started only seven. And so you have to wonder during games like the one at Selhurst Park about why that is. It wasn’t his finest performance, but it was more than fine; it wasn’t his most effective, but it was very effective. He did what he just about always does when given a chance, which is to contribute to a goal. On that gauge, the 23-year-old’s numbers are remarkable. By setting up Raheem Sterling’s second with a quick pass behind the backline, he now has 17 assists to go with 15 goals from 25 starts in all competitions this season. It’s the most assists by any Premier League player in 2018-19. For a measure of comparison, when Kevin De Bruyne threaded the needle for Sterling’s opener, it was his first in the Premier League since May 2018, 336 days ago. 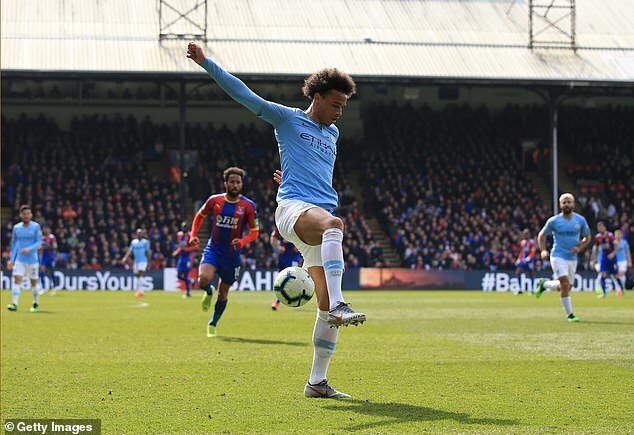 That is not to forward the argument that Sane is better than De Bruyne, who occasionally reminded us at Palace that only Mo Salah and Eden Hazard match his best level. 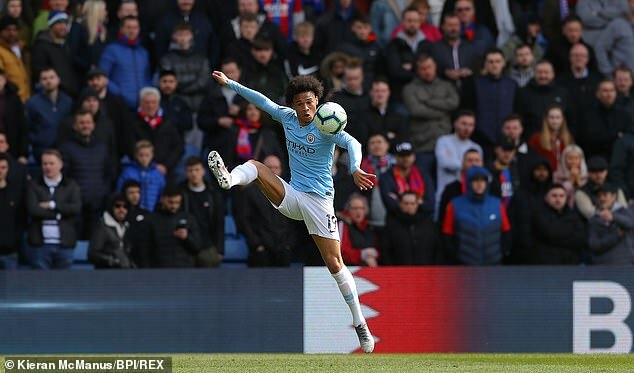 But they are remarkable figures from Sane nonetheless and so it is baffling that he has such limited function when all stats and visuals indicate a talent to rank among the best. Guardiola has never alluded to an issue behind the scenes, despite the clock ticking on contract negotiations. His deal is up in 2021 and progress over an extension has been glacial, but that isn’t it, according to Guardiola. Nor has he hinted at doubts over the character of a player whose demeanour is rather more chilled than his own. But it is beyond dispute heading into two massive games with Tottenham that Guardiola has reservations. 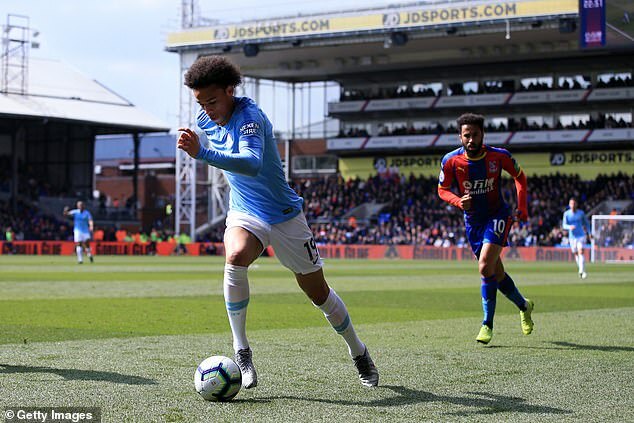 Raheem Sterling and Bernardo Silva having been getting in ahead of him and their performances make extremely powerful arguments, but Sane would have good reason to wonder why he has not had a fairer crack at the big games. The situation carries an echo of Joachim Low’s decision to leave Sane out of Germany’s World Cup squad. On that front, the picture has at least been a little clearer. Much was made of Sane’s decision to skip the Confederations Cup in 2017 in favour of nose surgery. Equally it was said he didn’t fit Low’s expectations on the pitch or off it. One would suggest there are enough trophies between Guardiola and Low to give them the benefit of the doubt. But still everything you see of this player makes you wonder. His skill and speed is marvelously obvious to the eye, even in games such as this one where a deep defensive line offered only limited space for runs and exploration. Likewise, his tactical senses. 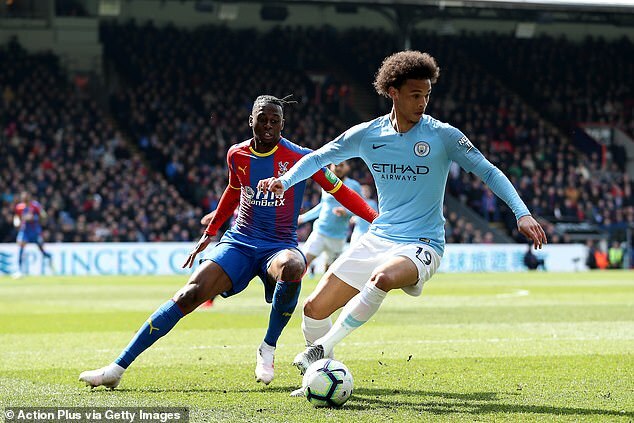 When Palace had the game back to 2-1 in the final 10 minutes and were enjoying their only sustained period of pressure, it was Sane who dribbled clear of his box and carried possession to the touchline, where he put his foot on the ball and waited for the atmosphere to die down. Smart play. And he worked hard. In one defensive mission into his own half, he robbed Luka Milivojevic, and in another he pinched the ball off Andros Townsend. He put a shift in, to go with the pretty stuff. Whether it’s enough for a start against Tottenham remains to be seen. But recent history suggests he might be well served to avoid getting his hopes up.